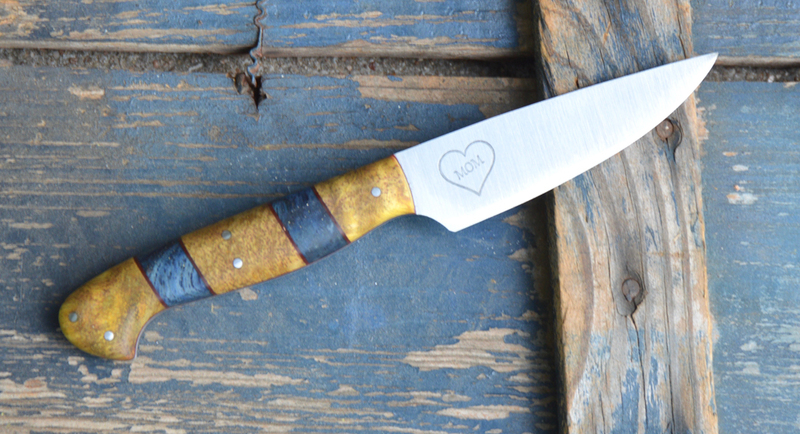 New handmade chef knife complete. 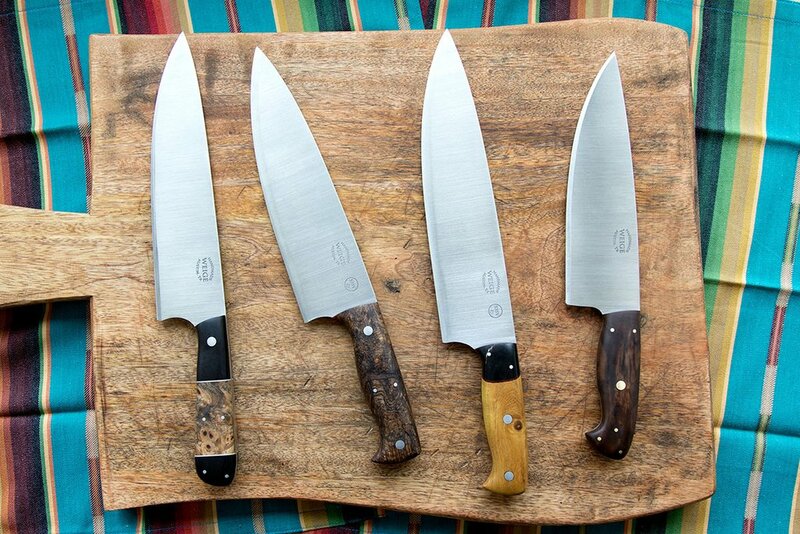 Home/Finished knives./New handmade chef knife complete. 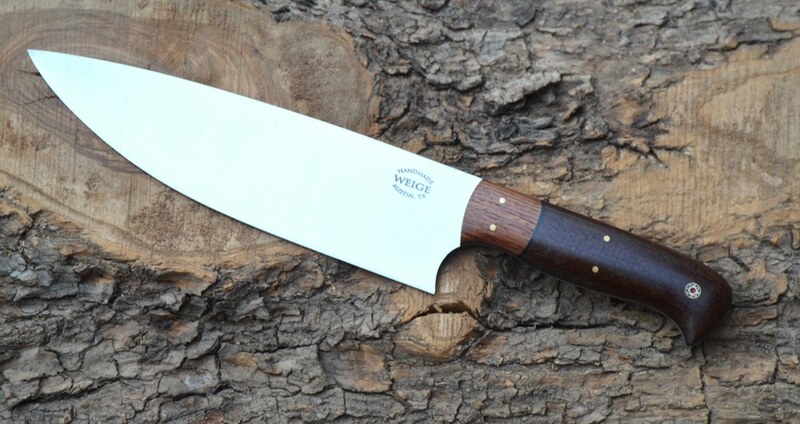 Both Dirk and I worked on this beautiful 11 inch overall chef knife. The blade is 6.5 inches of 440c stainless steel @ HRC 55 so it will be easier to sharpen. 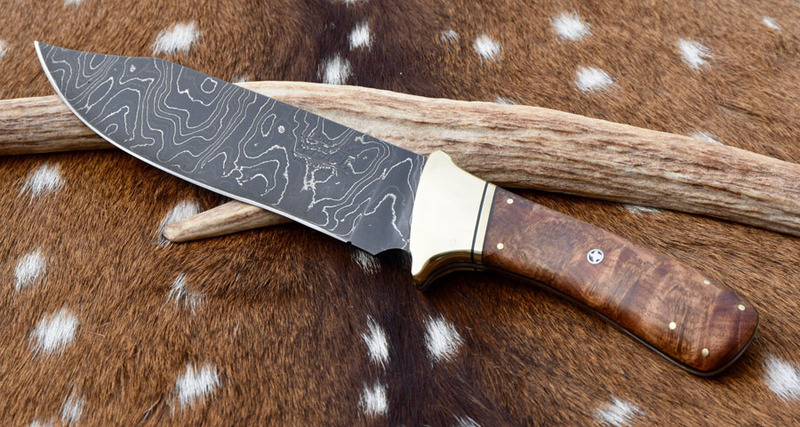 The bolster is buffalo horn and the handle is stabilized, curly maple burl w/ handmade mosaic pins. Red, dovetailed liner made from G10.